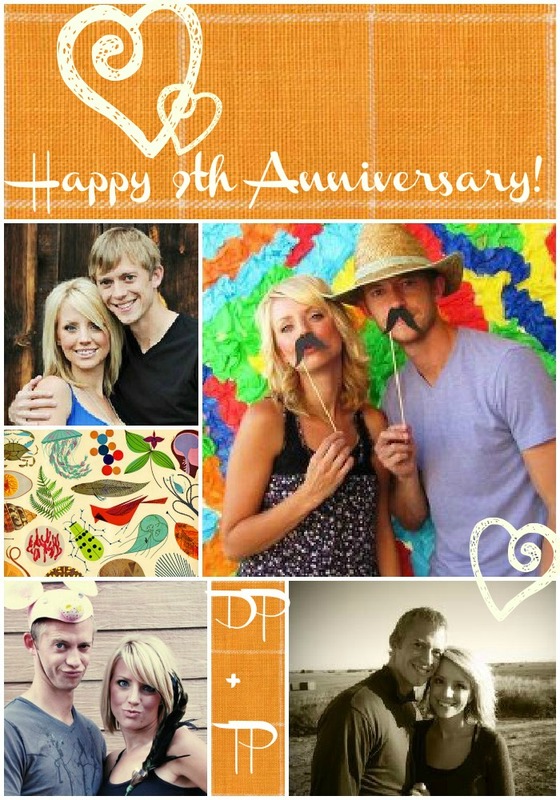 Happy 9th Anniversary, Dave & Tara! It was a lovely wedding, complete with with Phillips, Craig and Dean singing as you served communion to your very special guests, thousands of tiny twinkle lights, and getting Grandma and Grandpa Moslander to dance for the first time since their first anniversary. Shrimp cocktail and that crazy-amazing aged steak from your boss (will I ever experience that goodness again?) and your flower girl and ring bearer rolling down the aisle in a white-satin and lace baby carriage – so fun! A certain song sung in Itailan…Hot pink, bright orange fabric billowing from the roofline to the celebration below, stained glass windows, starry skies, brisk air, smiles and joy. Lots and lots of joy! And the years since have been so blessed. Love you and am thoroughly enjoying the Hunter-time!